Is Buying a Turnkey Property More Expensive Then Doing It Yourself? Is Buying a Turnkey Property More Expensive Than Doing It Yourself? Do turnkey rental properties really cost more than buying a fixer upper, rehabbing it yourself and renting it out? That is the age-old question and it is assumed that it is always cheaper to do it yourself. The quick answer is that in most cases if experienced, yes it would be cheaper to do it yourself. But at what effort, time and cost? You can come out with a better deal when you actually have the experience and know how to acquire great deals on fixer uppers. You really need to get a steal on the purchase price to come out ahead. This is not an easy thing to do and it varies on your market but I can tell you that where I live, it is extremely difficult to find a good deal on a fixer upper because there are so many other investors to compete with. If you were to set up your own wholesaling campaign, flyers and all, take the time to negotiate with distressed buyers and find a house off the MLS, you will increase your chances at getting a better deal. That alone is a time-consuming process and it costs money to set up a successful wholesale campaign. If you are anything like me, there is not enough time in the day to get this started and go through all this because I have a full-time job and a busy life. Not to mention that doing a rehab on a house also takes experience and could take months to make a property rent ready. Finding good deals on materials, dealing with contractors and dealing with unexpected costs is all more headaches, stress and time-consuming. If you do not have the real estate investing experience of finding super cheap fixer uppers, you will spend tons of time trying to figure this out. The best deals are most likely not found in the MLS people. And this is where you most likely will go and try to find this steal of a property. Turnkey providers on the other hand do have this knowledge. They setup their own wholesale campaigns, have relationships with other wholesalers and they go to auctions to buy these super cheap fixer uppers with all cash. These types of fixer uppers are normally so beat up that there is no way you can get conventional financing on it which is why an all cash purchase is the best way to buy these. So in reality, you will probably end up paying more money on the initial purchase price than a turnkey provider will because of your lack of experience. 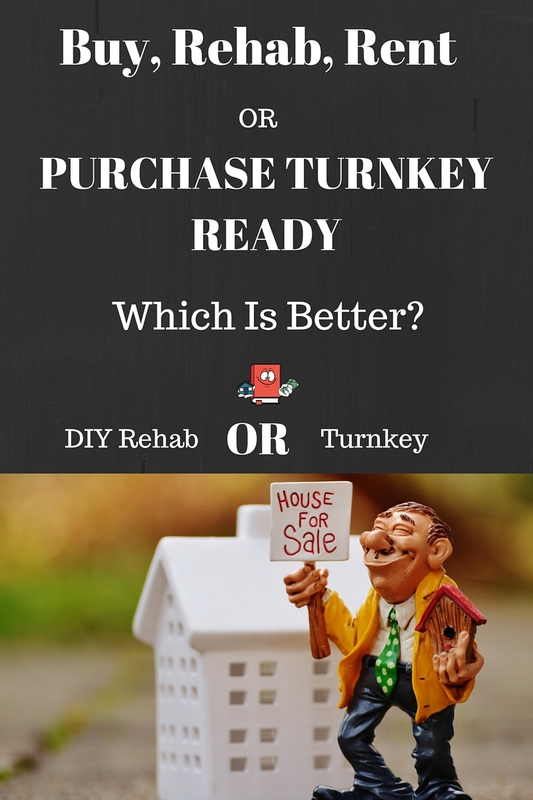 Unless you are an experienced rehabber, you will end up paying more money for your rehab than a turnkey provider. Turnkey providers flip so many houses that they have this figured out like a science. They get cheaper deals on rehab materials because of the amount of houses they rehab. They can get bulk discounts on materials and also get better pricing on contractors because of the steady business they provide to them. Some turnkey providers even have their own crew that rehabs the houses and they save a lot more money that way. They can go through a process or fixing up a house way faster than an inexperienced person. Each day that goes by that you are renovating your fixer upper, those are days you are not getting paid rent and losing money. If you do happen to be able to get financing on your purchase then you also will have to start paying the monthly mortgage while you are rehabbing. Unless you are a master rehabber with great experience you are probably going to take longer to make the house rent ready than your initial projections. This eats away at your profits. Not to mention a rehab never goes according to plan, you will most likely also end up paying more for your fix up costs because of unanticipated problems that arise. All these holding costs can be avoided by having the turnkey provider assume all the risk, holding costs and time needed to fix up the house. It could take 2 – 4 months to get the house rent ready and that is 2 – 4 months of not having cash flow. Once you finally have the fixer upper completed and rent ready, the next steps that will eat costs and your time is finding a properly screened tenant. In most cases, you will probably end up paying a property manager or a realtor for them to do this for you. A PM will typically charge one full months rent to do this and it could take up to a month to find a great tenant. If you go this route, make sure the property manager has these great qualities. When you go turnkey, the tenant is already provided for you at the time of closing and there is no cost for you. It is part of the package. Again you are saving time and money here by having the turnkey company do this all for you. 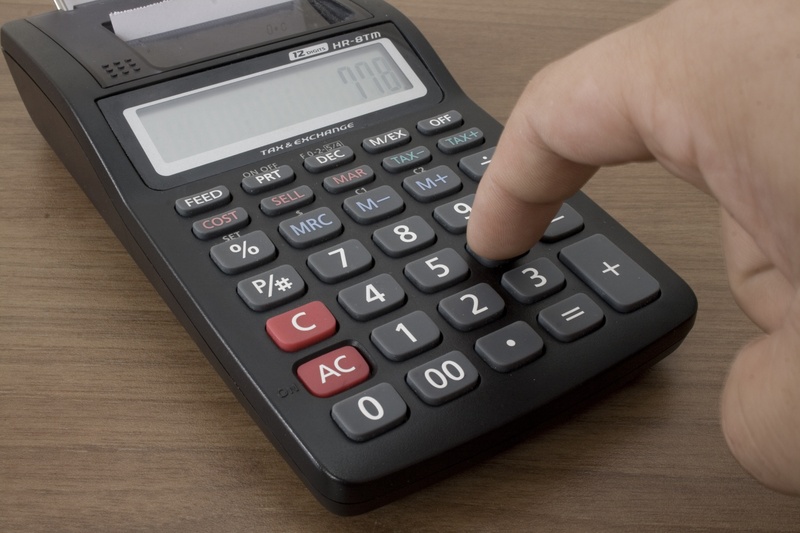 Here is a fictional example of how the charges/expenses could stack up when comparing purchasing a turnkey to buying, fixing and renting out yourself. This is what the numbers would possibly look like especially for a newbie investor with out a lot of knowledge on rehabbing a property. Is buying a turnkey property more expensive than doing it yourself? In this example, you are only saving a few thousand dollars and not to mention all the time, energy and stress involved in getting to that point. All the time, effort, holding costs and unexpected problems eat away at your profit. You really need to know what you are doing and have tons of cash to be able to properly get this done to come out ahead with better numbers. Keep in mind here that it could only be possible to save time and money like this when you find a good reputable turnkey company that does not sell the house more than market price and does a great rehab. You still have to do the research on finding the right property. You don’t ever want to work with a turnkey seller that sells houses listed more than market value. That is just not a smart way to purchase a turnkey property. You have to have a strict criteria when purchasing a turnkey rental. If you are interested in purchasing a turnkey rental, make sure you check out this Step By Step Guide on How to Purchase a Turnkey Rental. I personally choose to buy turnkeys because I don’t want to have to deal with all the time and headaches of getting the house flipped and ready for rent. I just don’t have the time or interest to do this just to save a few thousand dollars. What do you think? Are you really paying a big premium when buying a turnkey rental property? I think that in an area of the country like the one where I live (Raleigh, NC), turnkey is the only way to go. We bought our first property for $65K and it rents for $950/mo in a high demand area. There were no improvements required (although we did live in it for a few years and kept it in good condition and there is a high monthly HOA). We also purchased our current house for $65K and it requires significant improvement ($20K and doing the majority of work ourselves), and will have a rental cap of $1100/mo when we are done without the improvement it was already renting for $945/mo, it’s just that it was falling apart, so maintenance costs would be high. On the other hand, we probably could have just purchased a $90K house and gotten close to $1100/mo right off the bat (again, we’re living here, so not exactly our goal). Hi Hannah, those sound like very good numbers. Youre lucky to live in an area where you have those types of numbers. The whole reason why I went out of state was because I cant find houses like that where I live. But youre right, even in your area, it sounds like its better to just buy a house already fixed up and rent it. It could be possible to find cheaper houses probably but at a lot more effort. Hey Bryan! Ha! Yeah that would be a big problem for sure if you want to drive by the house every few weeks. Its definitely not an easy task trusting tenants and a property manager to keep a property in line but in the long run, if buying rentals will be used to be your “passive income”, then doing that will eventually have to stop. 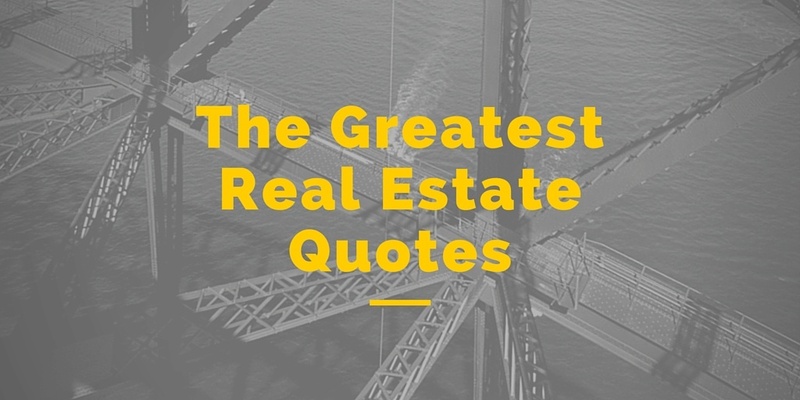 The more properties you have, the less driving by you will be doing for sure. It’s comparative with a stock in which you wont be running their numbers and checking their reports every month. You just have to trust that it performs and make money. Every investment is risky and rental properties especially out of state can be riskier if not done properly. Thanks for checking out the post. I appreciate it! That is a fair question about how much of a premium should someone be willing and I can tell you the answer for me would be never pay more then what the market value of the house is. Like you said above, as long as you’re not paying above market value for the house I think it’s fine. The turnkey company is providing a service in purchasing the property, renovating it and managing it so it’s understandable that you have to pay more than if you DIY. Of course, when you do it yourself, you get free labor I guess but for many of us, we don’t have the time and know-how. With economies of scale, these companies can also do things for cheaper. Another thing is for me, I wouldn’t be able to drive by the property like income surfer mentioned as the properties by me wouldn’t cash flow. The most important thing is to do your due diligence and find someone you can trust. Couldn’t have said it better myself Andrew. Well put my friend! You are right on the money! Thanks for this data and expert comparison. Sometimes, it all depends on the market and your location. Love how you created that fictional example. Hi Mich!! Youre very welcome for the comparison. The fictional example is super cool and I think it does portray an accurate model in a lot of cases. But I agree with you that is has everything to do with market and location. 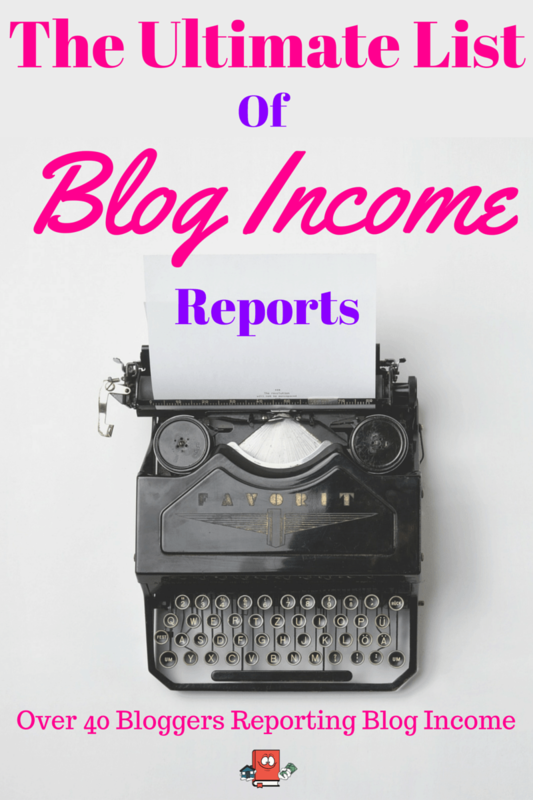 Thanks for checking out the post!! Good catch! I’ve updated the incorrect grammar. Thanks for saying something about it. Great comparison! I’m Moreso interested in turnkey properties for the comparison that you listed. Many times, the total cost of rehabbing a property as well as time aren’t considered.